Southern Oregon is still waiting for the winter snows to arrive. But yesterday seemed like a good day to avoid the Black Friday crowds in town, so Lucy and I made our way up to Crater Lake to burn off the Thanksgiving excess and find something to ski. After driving to Rim Village to scope out the view of the lake, we backtracked to Park Headquarters, where we were surprised to find the inversion had temps in the mid-forties. 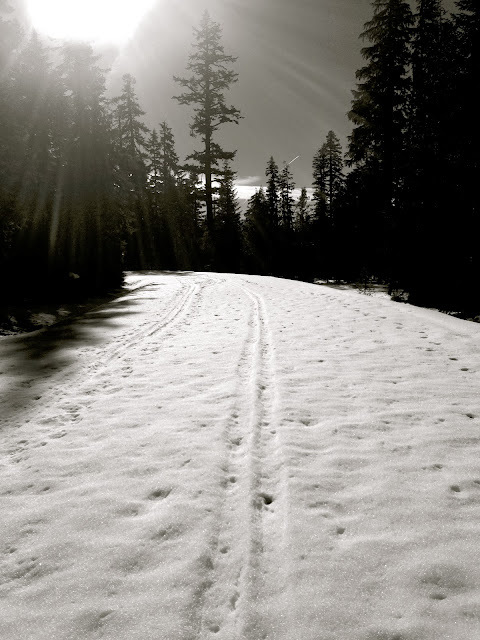 From Park Headquarters, we geared up and skinned east on Rim Drive, looking for anything that might be enticing to ski. Although the snowpack was mostly too thin for any significant skiing, we did manage to hop a few meadows on the southern flanks of Applegate Peak. Pics below. We're still waiting for snow to hit the lower elevation terrain in Oregon. 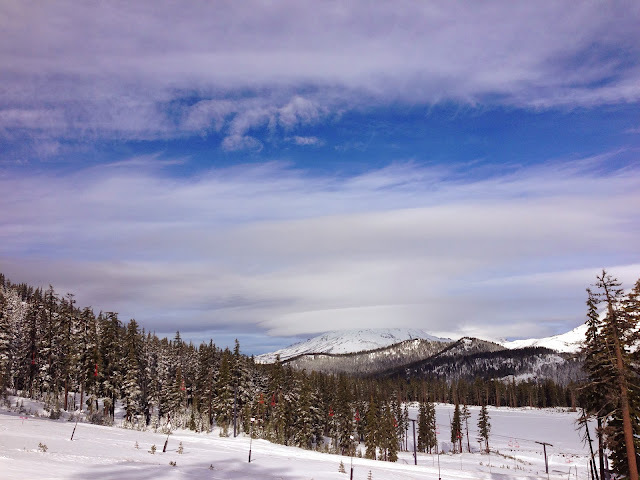 In the meantime, yesterday I returned to Mount Bachelor with my ski buddies for another round of preseason turns. The resort is still not open, but we had a little of everything-- wind blown powder, bulletproof ice, and mashed potatoes. A few of my photos are below. For a detailed trip report, see Sam's writeup at the Kickturner. Oh, and by the way, the Oregonist Blog now has a Twitter account. Follow me at @OregonistBlog for the latest.